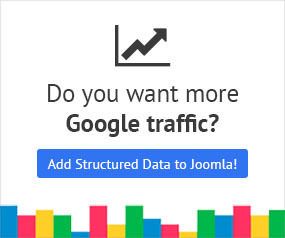 Google Structured Data integrates perfectly with ZOO - Yootheme! All you have to do is to make sure that the integration is enabled and then you'll be able to assign a Content Type to a ZOO - Yootheme Content Item easily. Let's see how to check if the integration is enabled. Bare in mind that by default it should be enabled. Find the "ZOO" Integration in the list below and make sure that it is enabled with the green checkmark indicator as shown in the screenshot below. For convenience and to save time, the Integration offers a set of default values for some common fields in case you'd like to leave them blank. Headline: The default value for this field is the Page's Title. ZOO offers a variety of different image fields for each Page and the default is the first of the list below which has an image set. Rating: This field has a default value if you select the "Inherit" Option and for ZOO you'll have to enable the Rating first.